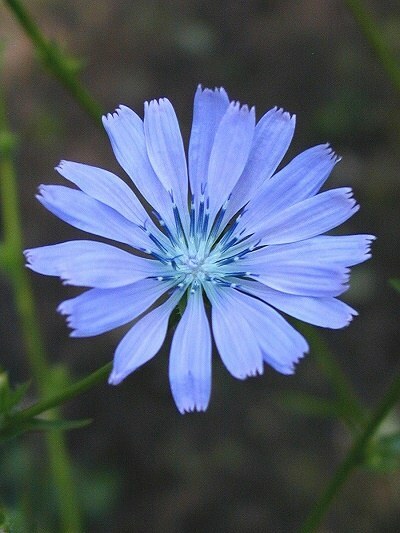 Description: Chicory reaches a height of up to 5 feet. It grows at roadsides, in fields of grain, etc. and is spread out all over Europe. The wonderful blue flowers are despite their size very delicate, and only a few will blossom at the same time. Each flower blooms only one day. The plant blooms from July to September.